The Sailun Ice Blazer WST tire delivers outstanding handling and traction in winter and cold weather conditions. This studdable tire features a directional tread pattern with curved grooves that provide enhanced traction on wet and slush-covered surfaces. The all-inclusive profile ensures all-weather reliability while the wide grooves channel water and slush from the contact patch for superior hydroplaning resistance. The blazer WST tire is constructed using environment-friendly materials that wear slowly for longer tire life. LT245/70R-17 N/A 2,998 lbs 250 psi 17/32nds 7" 10" N/A 31"
Purchase includes the Sailun Ice Blazer WST tire only. The wheel rim shown in the picture is not included. Picture provided is a stock picture from the manufacturer and may or may not reflect the actual product being ordered. 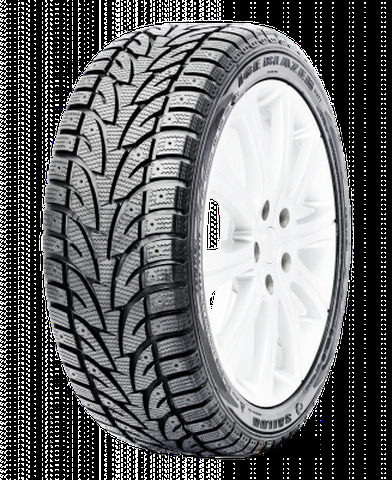 All Sailun Ice Blazer WST tires are continuously developing with manufactured improvements. With that said, Simple Tire and the manufacturers have the right to change these tire specifications at any time without notice or obligation. Please Note: Specifications of the Sailun Ice Blazer WST tires shown above are listed to be as accurate as possible based on the information provided to us by Sailun tires. Bought these for my Ford Fusion. Tires were very quiet and did wonderful in Erie, PA winter. Tread barley wore at all in the year I had the car with the 30k plus miles I pit on it. By submitting a review, each person received a sweepstakes entry. Love them will be getting another set for this winter!! These tires work great on my Cobalt. I never slide, even with 3+ inches of snow. I would recommend these to anyone.